I read this article and found it very interesting, thought it might be something for you. The article is called “Black Panther” had the second biggest weekend of all time and is located at http://www.panasiabiz.com/10012/black-panther-had-the-second-biggest-weekend-of-all-time/. Marvel Studios has always excelled at developing entertaining, seat-grabbing, and engaging superhero movies throughout its cinematic history. Apart from movie, Marvel Studios is known for producing superhero comics, superhero themed online games and a whole lot of superhero merchandise for the fans. It has brought several characters to life via many blockbusters. And now, the first black-directed Marvel adaptation movie, “Black Panther” with a mostly African-American cast is yet again a smart and cynical move made by the company. The film was released during Black History month and the response given to the movie, particularly by the black community, was ebullient. As per reports, about 37 percent moviegoers in the opening weekend of the movie were black people, which is more than twice the 15 percent average of a typical blockbuster movie. It already has made a worldwide collection of nearly $462.3 million. “Black Panther” has been directed by Ryan Coogler and stars Michael B. Jordan, Chadwick Boseman, Letitia Wright, Lupita Nyong’o, Angela Bassett, Daniel Kaluuya and Danai Gurira. 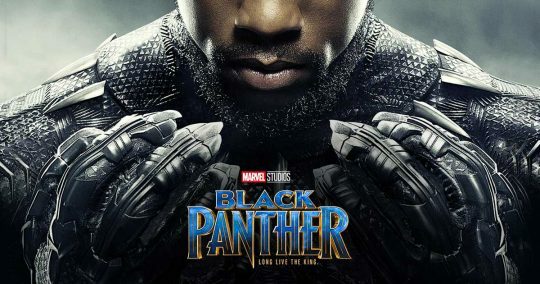 The movie is a story that is based on a fictional African nation called Wakanda that is hidden from the world and is located behind impenetrable rainforests and mountains. T’Challa is a handsome and soft spoken man who recently becomes the crown prince of the country. His father, T’Chaka was assassinated in Berlin after which the reign was passed on to him. T’Challa is lovelorn after a spilt from Nakia, his girlfriend who opted to go on missions instead of saying by his side. He also has a little sister, Shuri who is shown as the lead technologist of Wakanda. Just how Alfred is to Batman, Shuri is seen giving advises to T’Challa on personal matters. She is also the creator of the latest vibranium-fueled technology that includes the new Black Panther suit. Before becoming the king, T’Challa is seen accepting a challenge from M’Baku. He wins the challenge. The challenge points out towards the movie’s moral crisis on how the nation should use vibranium. Although Wakanda’s people know the power of vibranium and know its deadly effects, yet the film acknowledges that most African do not know its exact value. This sure is an impressive theme for a blockbuster film. Wakanda has spies all across the world and we can see them using the Wakandan powers to defeat the evil-doers. The final take of the movie revolves around the movie’s villain Killmonger who is a half-Wakandan African American and has a body covered in brands for each person he has killed. He uses of the film’s character named Ulysses Klaue to reach Wakanda and gain power. Once he gains power, he plans to recreate the Empire with a black ruler who wants other countries to know the power of vibranium and bend down in front of him for it. This is when T’Challa tries to win back the reign and get everything to normal as they were earlier. Nakia and Shuri are also negated in the final part of the film as both become strangely submissive when they see the future of their nation in threat. The fight sequences in the movie with Wakanda’s women warriors are amazing and breathtaking. The car chase scene that features T’Challa and Shuri is absolutely mind blowing. Every actor in the movie has performed well. However, the film is not perfect and in few action sequences, the Black Panther’s suit looks more computer-generated than realistic. As a whole, “Black Panther” plays with tremendous energy. Given the fact that what a glorious and inspiring film it is, it is easy to wonder why Marvel waited for so long to come out with the movie.